Although Silicon Valley is known as the technology hub of the country, the “Silicon Hills” area which includes Austin, TX and the surrounding area boasts an impressive technological presence which can rival that seen in the largest cities of the nation. Companies including Amazon.com, Apple, Facebook, Google and many more all share space in the Austin area and employ thousands of people. The city was ranked as “Best Place to Live in the U.S.” in 2017 by U.S. News & World Report, and has seen a rapid expansion in population. Along with this rapid growth, Austin outsourced support services have continued to increase in popularity, as organizations can now access highly skilled professionals at a lower cost than was traditionally achievable. Since the 1990’s, the Austin Metropolitan area has carried the nickname “Silicon Hills” to reflect its impressive technological presence and steady expansion in areas that are likely to remain at the cutting edge of the nation’s high-tech advancements. The University of Texas at Austin attracts thousands of students interested in the pursuit of computer science and engineering programs each year; graduates seek employment in companies such as Google, PayPal, Hostgator, Xerox, eBay, and many more. Smaller companies also love the Austin area, which was ranked as the best city for growing businesses in 2012 by WSJ Marketwatch. High tech companies of all sizes have a tendency to struggle with maintaining a stable and fully functional IT network, but Austin outsourced support services can assist with this issue. Because third party services can be utilized on whatever scale is desired to meet the needs of your organization, you’ll never again have to worry about adjusting your workforce during high or low times of the year. Professionals with extensive experience in high-tech fields can maintain your entire IT network, often from a remote location, and at a much lower cost than hiring a traditional employee. Additionally, you’ll save money by reducing the amount of office space required while simultaneously increasing the stability of your network. 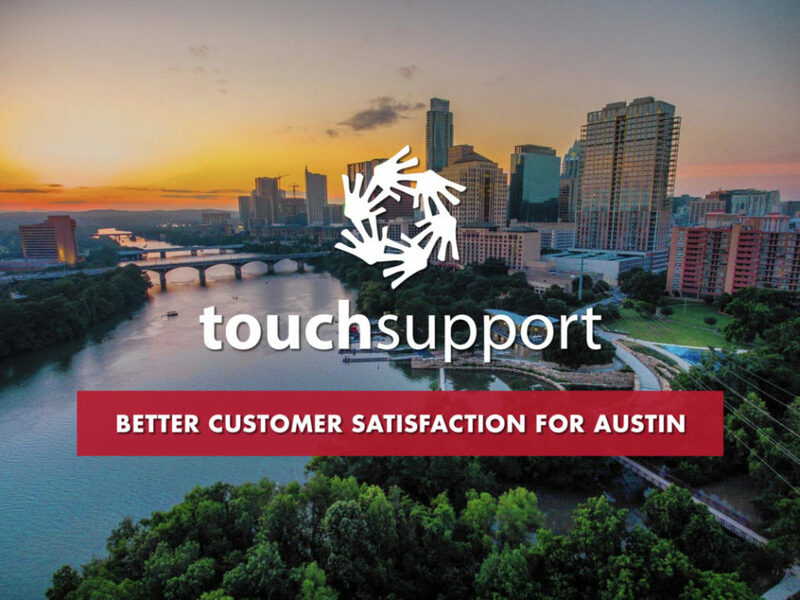 Austin outsourced support services such as those provided by TouchSupport can do far more than help you stabilize your IT network. With a host of analytic services including the VIsX program, you’ll be able to detect areas in your company that hinder the flow of productivity, thereby allowing you to optimize efficiency at each level of your organization. Customer service needs can also be outsourced and white labeled with your brand name for a seamless customer service experience. Contact one of our professional staff members today to learn how we can assist you.